At the Weekend to Remember marriage retreat I found a profound sense of community. It reminded me of one simple fact: We are not alone. My husband and I had a particularly difficult start to our marriage. There were no affairs, family deaths, or miscarriages—all things that might bring strife into a relationship. We simply found marriage to be far more complex and challenging than we anticipated. And something made it even worse. We were all alone. After moving to a new city immediately after our wedding, my husband and I went through the first few months of marriage without a spiritual community. At first, we didn’t see anything wrong with this. 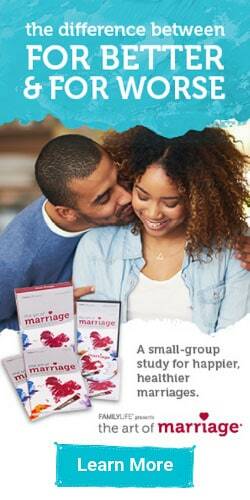 After all, isn’t marriage about pursuing a close, intimate relationship dependent on becoming “one” with your spouse? We found that marriage is indeed about all of these things, but also that as believers, we are created to live in community. A lot of people feel shame admitting that they need help in their marriage. I have found my marriage to be stronger in seasons where we are surrounded by a community of brothers and sisters who model godly marriages and confront us when we treat our spouse poorly. Whether it’s sisters who walk alongside a wife and point out her unnecessary criticism of her husband, or brothers who walk alongside a husband who needs to invest more quality time into his marriage, a true godly community will make your marriage stronger. With a strong community standing by your side and investing in your marriage, you’ll be better able to face those larger storms, like a miscarriage or the death of a loved one, when they do come your way. This is not to say that all marital problems can be solved with the help of a Bible study group or an accountability partner. We encourage those of you who are going through some serious problems in marriage to seek professional help—and to remember there is no shame in seeking help, whether through a fellow believer or a licensed professional. Regardless of the problem or the source of help, it’s important to remember—your marriage is not an island. It thrives in community. 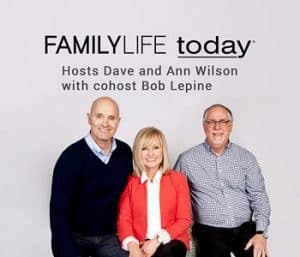 One of the best ways to find help in your marriage is to attend FamilyLife’s Weekend to Remember, which my husband and I attended this year. In addition to all of the insightful sessions about how to communicate, love your spouse, parent your children, and much more, I found an overwhelming sense of community at the Weekend to Remember conference. As I looked around the room and saw other couples of all ages, backgrounds, and ways of life, I found a profound sense of community. Attending the weekend reminded me of one simple fact: We are not alone. Getting married doesn’t mean you become an island. It might mean you spend more time with your spouse than your friends. It also might mean you confide in your spouse more than any other person in your life. But it doesn’t mean you stop seeking the advice, wise counsel, and support of other Christian friends around you. If you are already in community with believers, I encourage you to open up to them about things you struggle with in your marriage. Confess to them when you sin against your spouse. Ask them to pray to make you a better husband or wife. It will make your marriage stronger. If you aren’t in community, I encourage you still to seek out other Christian couples who can walk alongside you and your spouse. Even if your marriage feels perfect now, life will inevitably throw curveballs at you. You’ll need the support of believers who can pray and advise you on life’s challenges. 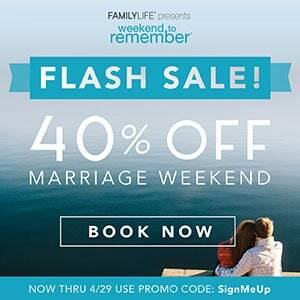 One of the best ways to find initial help or community in your marriage is to find a Weekend to Remember near you. You might be surprised at how many other couples are looking for ways to strengthen their marriage—just like you.